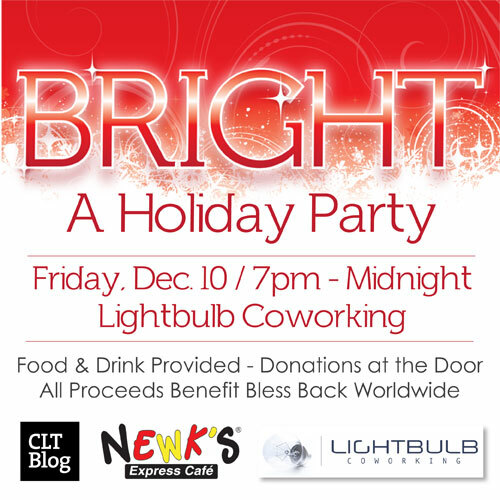 Bright: Lightbulb’s holiday party is this Friday! Great food, drinks and a free gift to take home for the holidays! Lightbulb Coworking is throwing their first annual holiday party, this Friday, Dec 10 @ 7pm. All proceeds (donations) go to Bless Back Worldwide, a local non-profit sending physicians and other professionals to Haiti to aid the still recovering earthquake victims. RSVP over at Eventbrite. We’ll see you there! who or what is lightbulb coworking? Should have linked them up. Lightbulb is a space for freelancers to rent desk space. Like a gym for working.